Camp truly was Jordan and Goldie’s home away from home. Jordan grew up in Texas and Goldie in California, but they built a family at camp over their collective 21 years there. Camp was the constant in their lives through most of their formative years. 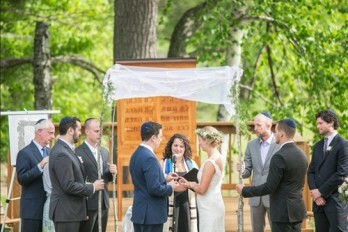 Goldie even had her Bat Mitzvah at camp on the same Bimah (stage) where they had the ceremony. 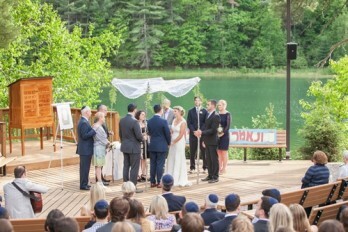 As Goldie and Jordan continue to build their family, they will always have that strong bond that comes with sharing such close relationships and Jewish identity stemming from their experiences at Camp Interlaken JCC.